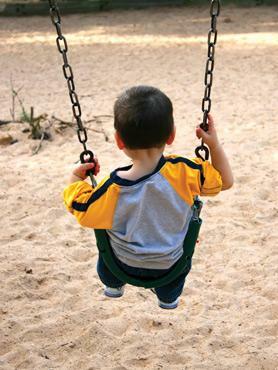 Children with Asperger syndrome have the unifying symptom of impaired social interaction. 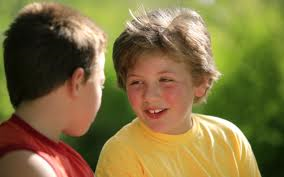 Our learning programs for Asperger’s are centered around Fast ForWord software. This is adaptive software that trains the processing skills required for listening efficiency, an essential skill for comfortable social interaction. By improving processing efficiency, Fast ForWord slows the world down for Asperger’s children. In a slower world, listening, thinking and reading are more manageable. Our Asperger’s software strengthens listening skills and the vocabulary, grammar and syntax that can cause confusion. These new skills will improve conversation skills, namely the receptive and expressive language skills at the heart of the Asperger syndrome diagnosis. The efficiency of processing gives them more time and mental capacity to focus on these higher level aspects of language. Improved processing will help your child keep up with conversation and feel more comfortable participating in group and one-on-one situations. By slowing the world down, our 4-6 month program builds confidence and self-esteem, which in itself leads to more learning risk taking and social interaction. Our programs help reading on many levels. Our Fast ForWord reading program methodically develops the cognitive skills and knowledge of language structure required for reading fluency, and then works on reading comprehension. Asperger syndrome is associated with cognitive weaknesses such as poor working memory, lack of attention and auditory processing skills that prevent the mastery of language and reading. These weaknesses may hide true strengths. Instead of being a challenge, your child may find school to be a frustrating experience. He may even develop a sense of alienation from academic work. Equally, when his receptive language is weak he can have problems in the classroom and socially. Somehow he doesn’t get the flow of the conversations and can feel excluded. After an assessment and parent behavioral questionnaire, Gemm Learning develops a customized protocol for each child. Students typically work 30 minutes a day, five days a week, for 4-6 months depending on their needs and goals. Every child is different. To find out if our learning programs for Asperger’s can help, please call a specialist for a free consult or contact us here.